Our Executive King rooms have everything the Queen rooms have only Bigger. Did I say BIGGER. You will not be disappointed in our Huge flat screen TV's and our HUGE comfortable King size beds. These beds cater for even the tallest of gentlemen, who just love our King rooms. If you often feel like you are squashing into tight places when you travel then the Executive King room is a must try. 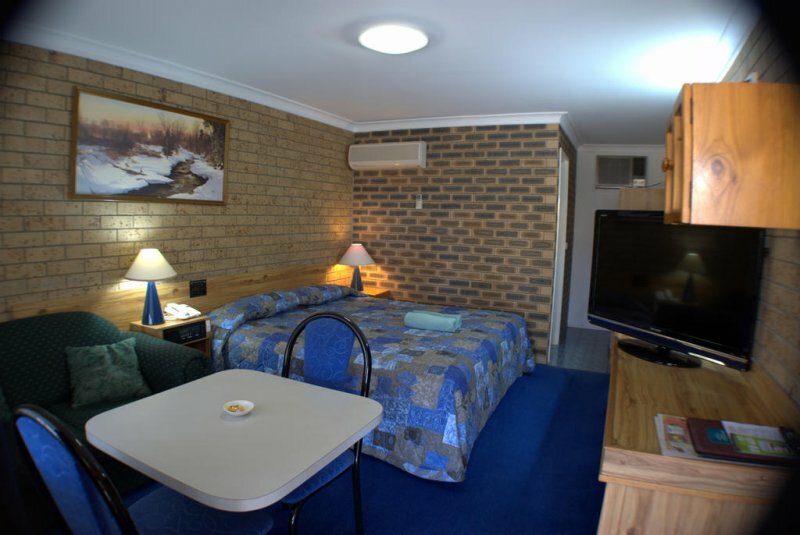 Or if you want to feel that little bit more spoilt, well go ahead and book a King room and feel King of your castle if only for one night while in Tenterfield at least.